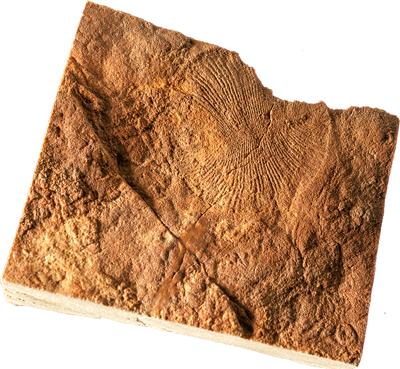 The very first animal-like organisms appear during the Ediacaran, about 610 million years ago. 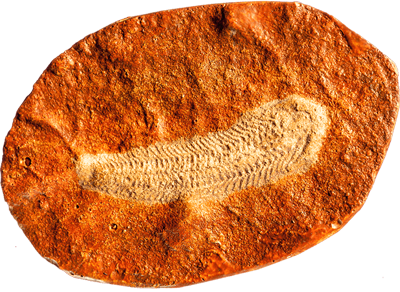 The fossils we know of are usually traces in sand of their bodies and therefore they are difficult to interpret. The majority of them seem to have been simple, sac-like animals that hardly could move actively. But in the shadow of these animals, smaller but more sophisticated worm-like animals developed, that left traces. Spriggina was an oblong, flat organism that superficially resembles a segmented worm. The animal grew by adding new segments at one end, and presumably it lacked the mouth and digestive systems. It probably dissolved the bacterial mats on the seabed and absorbed nutrients through the skin. Dickinsonia was a large, flat organism that lacked the mouth and digestive systems. It lived in shallow, sandy seabeds. The diet, which was bacterial mats on the seabed, was taken up directly through the skin. 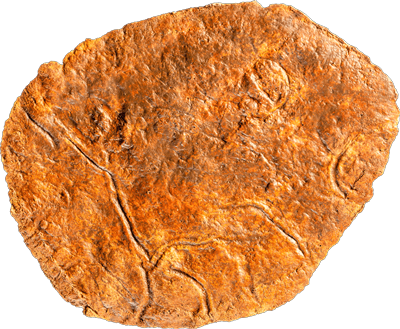 Traces show that Dickinsonia could "move", perhaps by waves or currents transported the animal from place to place where it could break down the new bacterial mats. The very first animals that could move actively were small and worm-like. Their bodies are not preserved as fossils, but the traces they left on the seabed are. These traces are called Helminthoidichnites. The worms dug shallow aisles a few millimeters below the bacterial mat that covered the sea floor. They probably fed on dead bacteria they found there.